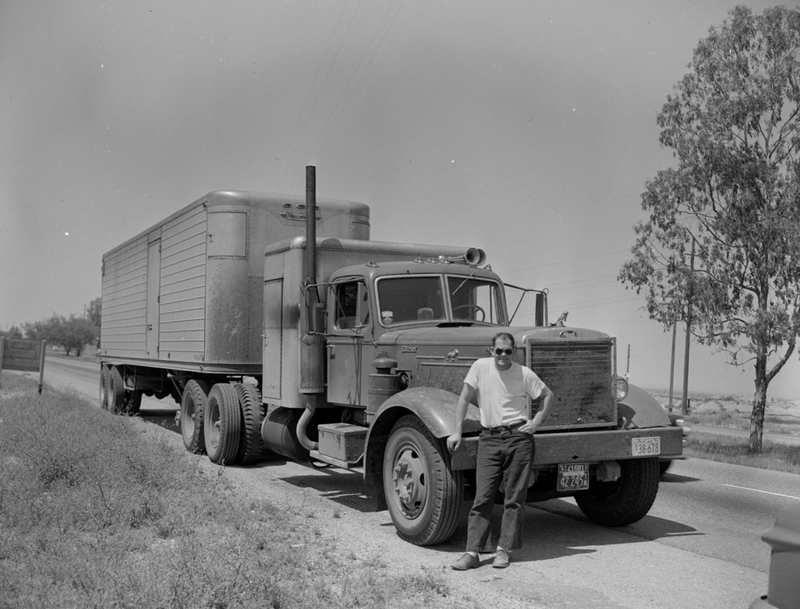 SCVHistory.com SU5527 | Ridge Route | Mack Truck & Driver on Highway 99, 1955. Mack truck and driver headed south out of Bakersfield on Highway 99 in 1955. "The trucks were much smaller then, as was most everything else," says contributor Michael Sullivan. SU5527: 9600dpi jpeg from original print. Online image only.